Anchorage, a perennial cruise port of call and tour stop, has evolved into a destination in its own right. In 2015, the number of leisure visitors there reached 1 million for the first time, according to Visit Anchorage, the city’s convention and visitors bureau. 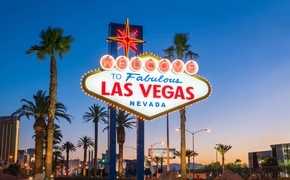 Moreover, the average citywide occupancy rate has topped 80 percent from May through August during each of the past five years. The number of arrivals and departures at Ted Stevens Anchorage International Airport has jumped by more than 130 percent, from 2.3 million in 2010 (starting July 1) to 5.4 million in 2015, thanks to added service by such carriers as JetBlue, Delta Air Lines and Alaska Airlines. Many of those visitors are repeat travelers whose first Alaska trips were on Inside Passage cruises, says David Kasser, Visit Anchorage’s vice president of tourism development and sales. “I like to call it the Alaska starter kit – that first experience,” he says, adding that about 40 percent of first-time Alaska cruisers return on land trips. “But some first-timers don’t want a cruise,” he adds. Anchorage visitors not only are adventuresome, but they also tend to be independent travelers, he says, noting that, in September, Anchorage became the first U.S. city to host the annual Adventure Travel World Summit. Many Anchorage visitors book fly-drive vacations, either venturing out on day trips or spending a few days at the destination before heading to other parts of the state. And there’s plenty to see and do in and around the city. 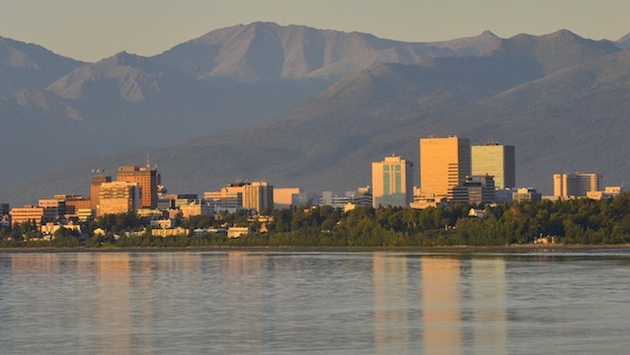 At nearly 1,970 square miles, Anchorage includes a big chunk of Chugach State Park and is surrounded by wilderness, waterways and wildlife – not to mention glaciers. If Anchorage visitors still want to include a cruise component in their vacations “they can very easily put together a land program that offers a lot of cruise in it, because there’s a day cruise from every port,” Kasser says, referring to towns like Homer, Seward and Valdez, as well as Anchorage itself. Another popular option is an Inside Passage cruise combined with a pre- or post-cruise land program in Anchorage. The city is also in the midst of a dining renaissance, which is a draw for travelers in search of a lively urban scene that includes an array of upscale restaurants, bustling pubs, breweries and distilleries. One constant is that people are more familiar with Alaska in general than they are with Anchorage, he says. For that reason, Visit Anchorage’s marketing and travel agent training starts with the state and then zeros in on the city. Besides detailing activities and attractions, training also includes practical information, such seasons and daylight hours. “We try to build our destination training to answer all of the questions asked by the travel trade,” he says. Most training takes place via Visit Anchorage’s business development managers. “We train 5,000 to 6,000 travel agents a year, and the majority is done live,” he says. The CVB also offers the Anchorage Wild Expert (AWE) specialist program, as well as webinars at www.anchorage.net/awe. It hosts three four-day fams each year, inviting AWE-certified agents who are engaged with Visit Anchorage on social media and show interest in the destination, he says. “We hosted a NACTA [National Association of Career Travel Agents] fam a few years ago, and our members saw a tidal wave of business from it,” he says, noting that Anchorage is hosting NACTA’s annual conference next September. On the hotel front, Anchorage continues to add new hotels. Eight properties, such as a Courtyard by Marriott and a Townplace Suites, opened last year, targeting medical travelers, visiting military, and corporate travelers in smaller neighborhoods and “taking the pressure off the downtown properties, where our leisure visitors like to be,” Kasser says. Although the city features properties like the upscale Hotel Captain Cook, Sheraton Anchorage Hotel & Spa and Lakefront Anchorage-A Millennium Hotel, as well as limited-service hotels, bed-and-breakfasts, cabins, and lodges, training focuses on what’s outside. “It’s more about the destination than about the hotel address,” Kasser says. Activities and attractions in Alaska’s largest city are diverse – from brewery tours to wildlife viewing – and are constantly expanding. Here is a sampling of new developments. An expansion will add 25,000 square feet of new art gallery and event space to the Anchorage Museum (www. anchoragemuseum.org) next September. The museum also is redesigning its history section. Anchorage beer-sampling tours are now available from Big Swig Tours (www.bigswigtours.com). Appetizers and transportation via motorized vehicle or bicycles are included. Next summer, Major Marine Tours (www.majormarine.com) will launch the Orca Quest Cruise out of Seward, offering an up-close look at the black-and-white whales. A new Sunset Glacier Cruise into Blackstone Bay is available from Phillips Cruises & Tours (www.phillipscruises. com) out of Whittier aboard a high-speed catamaran. Rust’s Flying Service (800-544-2299, www.flyrusts.com) has added kayaking, photography, dog sledding and glacier landings to its offerings, and flies passengers to the starting points for these activities. Segway Tours of Anchorage (www.segtours.net) now offers Lake Hood excursions, circling the lake and its floatplane slips. Visitors can now experience ziplining in Alaska, via Denali Zipline Tours (www.denaliziplinetours.com) in Talkeetna and Stoney Creek Canopy Adventures (1awww.stoneycreekca.com) in Seward. A version of this article appears in print in the November 2016 issue of Vacation Agent Magazine.